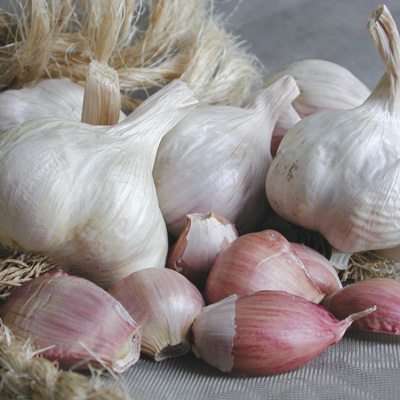 Italian Late garlic is a popular softneck garlic. Photo courtesy of TerritorialSeed.com. Italian Late is a softneck artichoke garlic that is easy to grow and very popular in a variety of dishes. Italian Late is ready for harvest in mid-season and is a very long-storing garlic, with many growers choosing it in order to have a garlic available for sale or use well into winter and sometimes into spring depending on the season. Like many other artichoke garlics, it will tolerate a wide range of growing conditions and can fare well in warmer climates that other garlics such as Rocamboles struggle in. 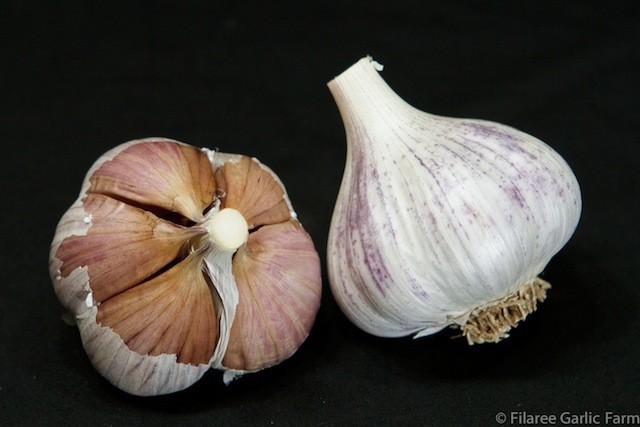 Italian Late garlic typically has 6-8 large cloves per bulb and its has more purple in its clove wrappers than other artichoke garlics do, giving it a nice visual pop for anyone selling garlic at farmer’s markets. 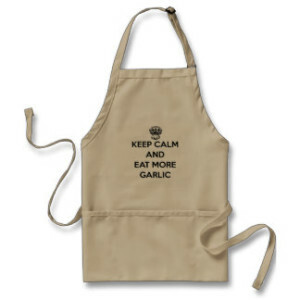 It has a robust, rich taste but not too hot or overwhelming as other garlics can be. Italian Late does have a stronger taste than many artichokes, though, making it a nice compromise for garlic fans who want a long-storing garlic that still has a full flavor and isn’t too bland. “Very aromatic with a rich, robust flavor, this softneck garlic generates garlic cloves that are perfect for any culinary dish. Can store for 6-9 months yet retains full flavor. 100 days to maturity.” – Gardens Alive! Just $19.95 for a limited time!